Warren Ziller moved his family to California in search of a charmed life, and to all appearances, he found it: a gated community not far from the beach, amid the affluent splendor of Southern California in the 1980s. But his American dream has been rudely interrupted. Despite their affection for one another-the 'slow, jokey, unrehearsed vaudeville' they share at home-Warren; his wife, Camille; and their three children have veered into separate lives, as distant as satellites. Worst of all, Warren has squandered the family's money on a failing real estate venture. When tragedy strikes, the Zillers are forced to move into one of the houses in Warren's abandoned development in the middle of the desert. Marooned in a less-than-model home, each must reckon with what's led them there and who's to blame-and whether they can summon the forgiveness needed to hold the family together. 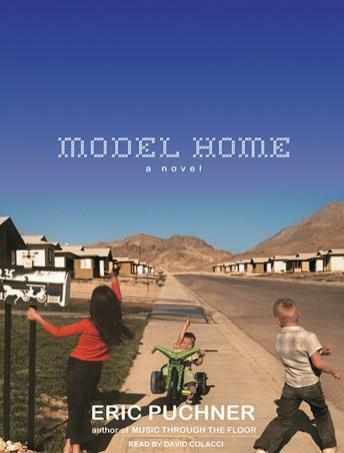 Subtly ambitious, brimming with the humor and unpredictability of life, Model Home delivers penetrating insights into the American family and into the imperfect ways we try to connect, from a writer 'uncannily in tune with the heartbreak and absurdity of domestic life' (Los Angeles Times). Great book from start to end . Narrator was also great . Highly recommend .